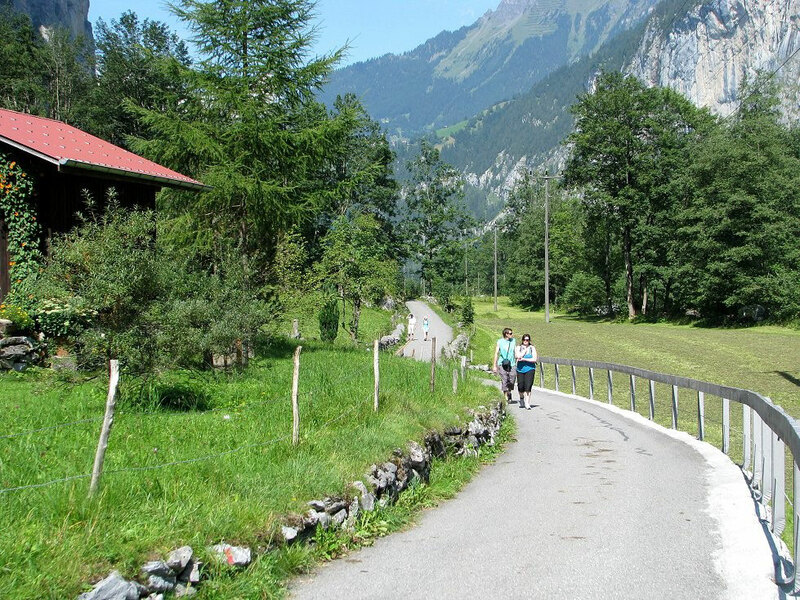 No matter where you are coming from, you have to pass through Interlaken first. 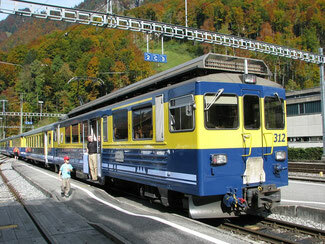 Though a relatively small town, Interlaken has two train stations, Interlaken West and Interlaken Ost. From the latter the fastest journey to Gimmelwald by public transport takes 55 minutes, and trains leave once an hour starting at 6:00am and then at 5 minutes past every hour (7:05am, 8:05am, 9:05am, etc. through 19:05, then 21:01 and 23:16). Round-trip ticket Interlaken Ost–Gimmelwald costs 32.00 Sfr. (26.00 Sfr. with Eurail and free with the Swiss Travel Pass). Be careful, this train has two parts! 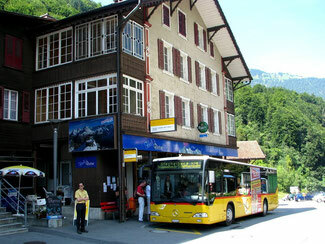 The first half goes to Lauterbrunnen. The second half goes to Grindelwald. The cars are marked. Make sure you board the correct one. 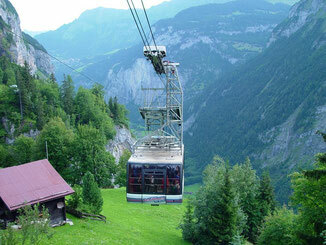 You will arrive in Lauterbrunnen 20 minutes later. It's about an hour and a half flat walk (longer with a camera) to the gondola station and is well worth it, even with a full backpack on one's shoulders. 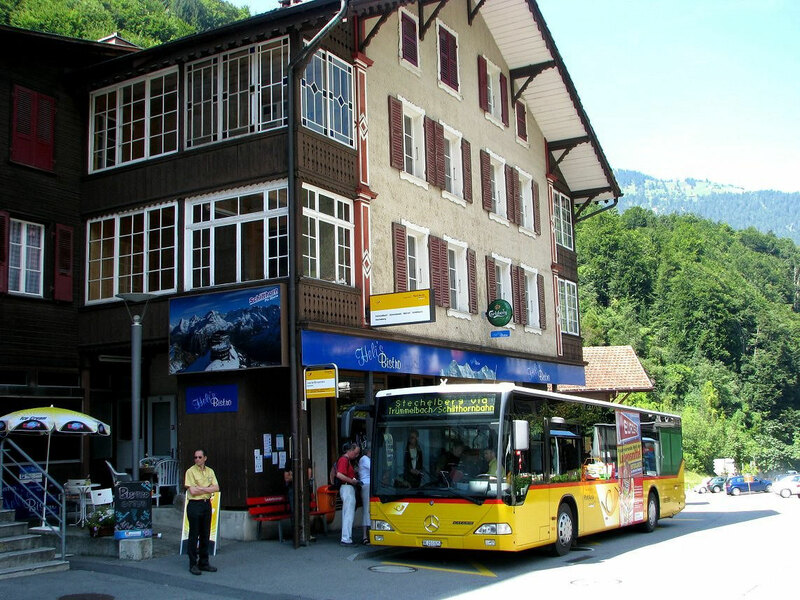 If the weather is nice and the sun is still out it's a good alternative to a bus.Walk up the main street in Lauterbrunnen and keep right before you get to the church. Follow the signs to "Schilthornbahn / Talstation"
5 minutes ride. Welcome to Gimmelwald! 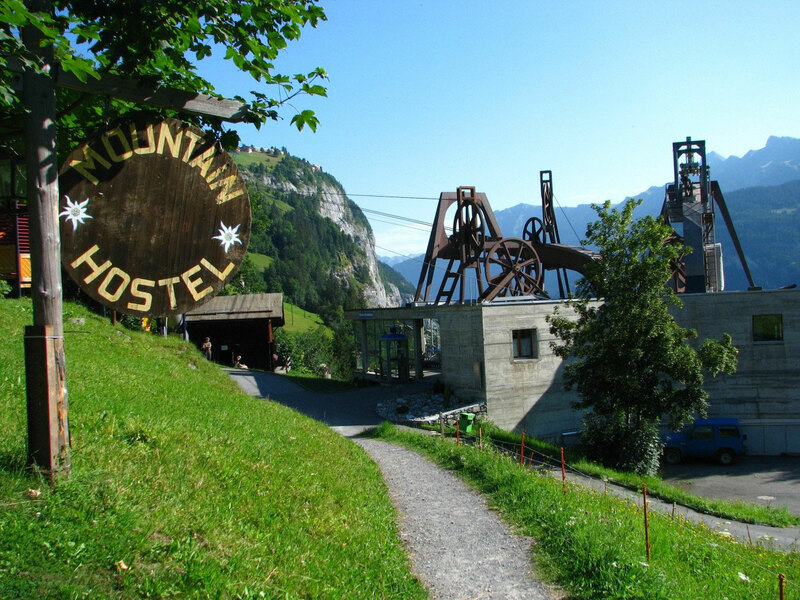 and you will see the Mountain Hostel sign up to the left. Walk up the little path to the left across a field to get to the mountain hostel.